I had NO yellow paper. Yellow just isn't a color I use a lot of, so it was a real challenge for me. 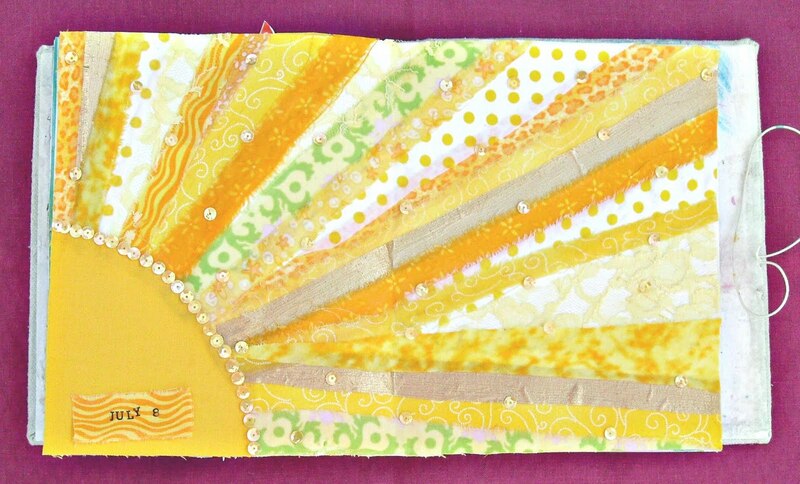 I used matte gel medium to adhere fabric strips, including some gold lame' for my metallic part of the challenge.